Feature Sonic Buzz Bomb: Why No One Can Agree on What Really Happened to the U.S. Diplomats in Havana. Sonic Buzz Bomb: Why No One Can Agree on What Really Happened to the U.S. Diplomats in Havana. 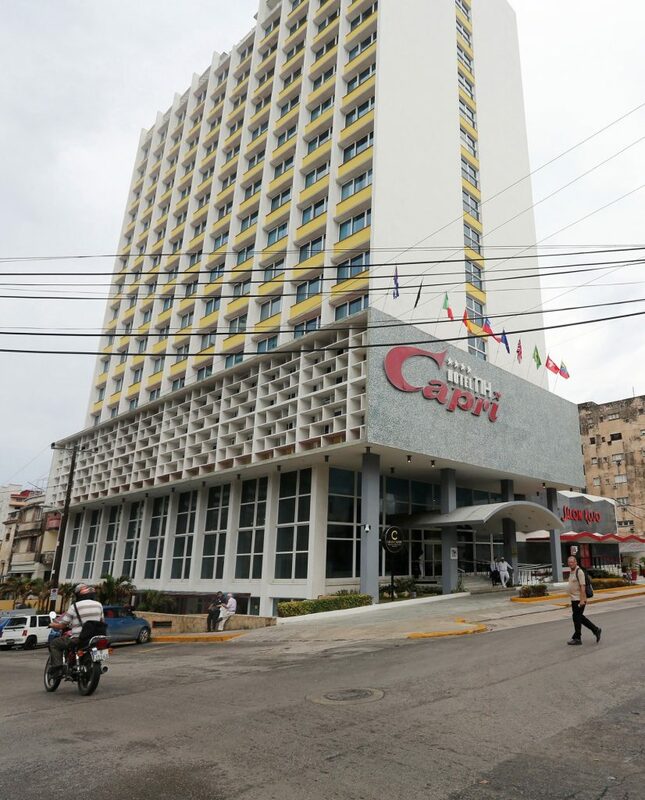 When two American diplomats stationed at the U.S. Embassy in Havana reported a strange sound in May, Cuban investigators rushed to the diplomatic residence to investigate. So did FBI investigators, the Cuban government said. It was an opportunity because visits by the FBI, which has made six trips to Cuba since mysterious incidents that the U.S. State Department calls health attacks first were reported, generally haven’t coincided with the actual events. Sometimes called acoustic attacks, the events are often accompanied by a sound variously described as high-pitched, low-pitched, piercing squeals, grinding metal and incapacitating before the onset of symptoms such as ringing in one ear, vertigo, nausea, recurrent headaches, fatigue, cognitive issues, problems sleeping and even hearing loss in a few cases. Cubans investigating this latest incident say they concluded that the unpleasant, piercing sound was a water pump starting up in a nearby home. They said the FBI, which declined to comment, drew a similar conclusion. Inconsistencies, secrecy and shifting hypotheses that sometimes seem straight out of science fiction have marked the U.S. government’s effort to get to the bottom of what happened in Havana since the first Cuba cases were reported in late 2016, a time when U.S.–Cuba relations were on the cusp of change with President Donald Trump soon to take office. Are the Russians or some other player intent on disrupting U.S.–Cuba relations, a rogue element within the Cuban government or maybe no one responsible? Microwaves wouldn’t be able to produce severe symptoms without vaporizing a person’s head, said Mitchell Valdes Sosa, the head of Cuba’s Neurological Center and one of nine Cuban scientists who recently came to the United States to confer with the State Department, the National Academy of Sciences and members of Congress. At this point in the investigation, he said, some sort of directed energy device is the most likely, with electromagnetic pulse stimulation as the leading candidate. Cuba rejects the attacks/weapon theory. “Before explaining how donkeys fly, you have to first see a flying donkey,” said Valdes Sosa. The United States, he said, has settled on weapons, “the most bizarre and less likely explanation,” when other simpler and perhaps sounder explanations haven’t been vetted. The Cuban investigative team, Valdes Sosa said, is preparing its own report on all the theories advanced and hopes to publish it soon. The current Cuban working theory is that the affected diplomats had underlying medical conditions, but “we can’t exclude psychological factors as also operating,” Valdes Sosa said. The State Department hasn’t directly blamed Cuba for causing the health incidents, but some in the Trump administration think the Havana government knows more than it is letting on. The Cubans say their investigation has been thwarted by lack of cooperation from U.S. authorities. 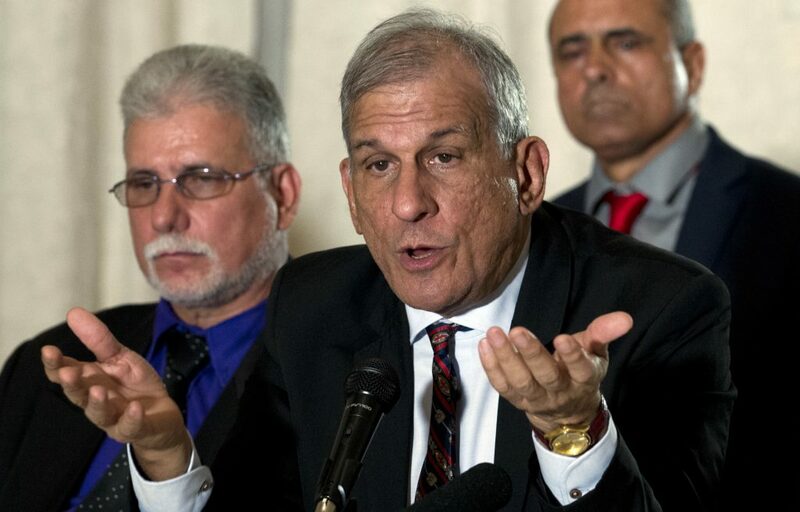 The Cuban scientific delegation complained that without access to the U.S. patients or their medical records, it’s difficult to draw conclusions. While in Washington, the Cuban scientists urged cooperation between scientific communities in both countries, but they said the only data shared with them by the State Department was a University of Pennsylvania report that appeared in The Journal of the American Medical Association early this year. They’d already been through it with a fine-toothed comb. After reading media reports about the cavitation theory, Valdes Sosa said he instructed his Cuban research team to review all the scientific papers they could find on cavitation bubbles. Meanwhile, researchers at the University of Pennsylvania who treated and examined 21 of the initial 24 U.S. diplomats suffering from the mysterious ailment have published the most comprehensive report to date in JAMA. Their preliminary conclusion was that the patients — 10 men and 11 women — were suffering from concussion-like brain injuries that weren’t associated with head trauma as might be expected. That raised concerns about a new, unknown mechanism for causing traumatic brain injury. “The [Penn] findings don’t match” criteria established by the military for mild traumatic brain injury, Hoffer said. Without a baseline study, they said, it can’t be determined whether the hearing loss experienced by three patients, who were fitted with hearing aids as part of their treatment, resulted from exposure to the sounds they said they heard. Still, they said the similarities among the 21 cases evaluated at that point do “merit consideration of a common medical, environmental, or psychological event as their potential cause. On May 23, the United States established a multi-agency task force to address the situations in Cuba and China, but its mission appears to be primarily protecting and enhancing the security of U.S. government personnel and their families. 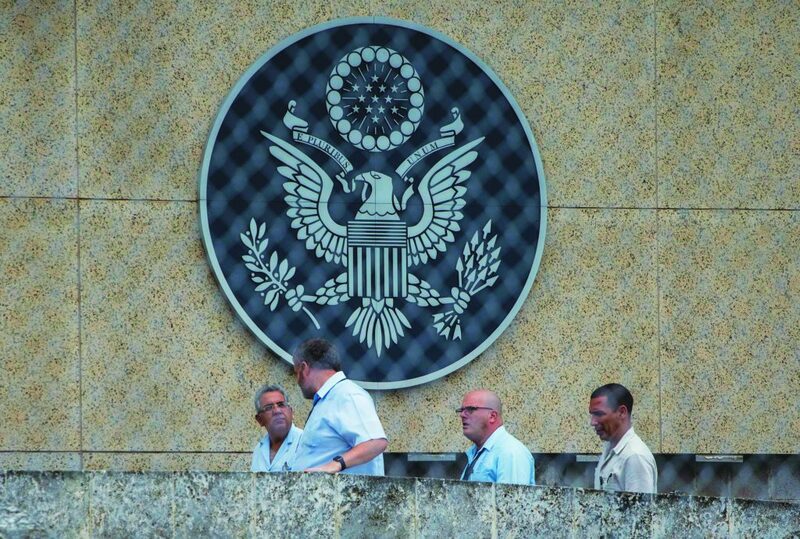 The United States pulled two-thirds of its personnel from the U.S. Embassy in Havana last September, leaving only a skeleton staff to carry out essential services. A State Department roster dated Sept. 14 showed only 10 U.S. diplomats posted at the Havana embassy and three of them were on temporary assignment.